Tired of waiting for OnePlus One invite? Even if you got an invite, you must pony up $349 for the 64GB Sanstone version. Well, we are giving out a brand, new OnePlus One 64GB Sanstone edition to alleviate your pain of waiting for OnePlus One invite! Oct 1st. 2014 – Winners announced! Make sure you do all three steps otherwise you may be disqualified even if you win! *Note – This contest is open to all residents in U.S., Canada, and international. We will be shipping the phone from the U.S. address so if you live outside the U.S. you may be responsible for any import duties/taxes. Also you must be 18 or over! Winners will be announced on October 1st 2014, 12PM Pacific Standard Time! Awesome giveaway man, looking forward to the drawing October 1st! hope i win, time to upgrade from this mid ranger [tecno n3]. HIGH!! HIGH!! on android. Great video & thanks for the opportunity Max! Thanks for all you guys do. And thanks for the chance to win the one plus one. I can smell the OnePlusOne in my hands now! Cool! Thanks for the contest. One of these days, I’m going to win. The android L vid was interesting, support for Bluetooth 4.1. about time. Thank you for the opportunity zedomax!!! I’m with Ezra Peres on this one. You have to apply to be in the running. Subscribed to all 3.Thanks for the contest! wish could get it cause now i have no phone just lost. 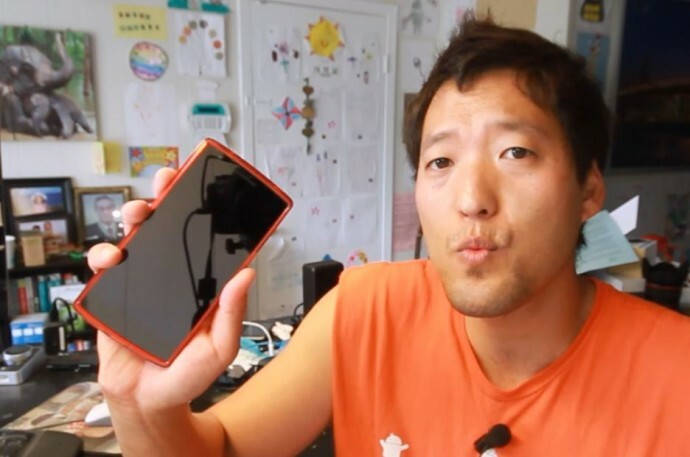 You just made us subscribe to a guy who makes some of the lamest tech videos! Give him some classes, Max, and give me the OPO! My S2 is about to die, with all the tinkering I subject it to, thanks to you 😛 !! You owe me!! No chance of a invite,been trying since release.So this is my only chance. I’m in and can’t wait till I’m holding the phone in my hand. Hope I win. Followed the directions but unsure how a winner is picked? Done , Man , I hope i win this , iv’e been without a phone for like a month since it smashed. Can’t wait to bless my wife with her first Android phone. She’s finally sick of her Windows Phone. Would love to win! I could use a good phone! Thanks for the opportunity to get the OPO! I’m entered and hope that I do win. done all subscribes. I hope I am winner. i wish i won this phone, i need it…. I wish i could win. I have no luck with these contests. But I’m already submitted my email that’s how I got this invite?? Awesome thanks for the competition. Done, I would love to get that puppy. Thanks for the opportunity to win. Done. subscribed to all. id love to win the Flagship Killer. I’d really like to win. One plus one is a great android phone. Thanks Max! Hopefully I win . I never any of these giveaway. Since about last 3 years I am using Custom Roms in my Smartphones with the help and Guidance from You Max..!!!!!!! Subscribed to all 3, thanks. Hope this time will be my time !! Fan of ur channel from day 1..
WOOT WOOT This is AWESOME!! OnePlus One is a Flagship!! Totally love it! since the 1st born from OnePlus! so sad i want to buy it but invite system kinda tough to win and yet they don’t ship it to my country even if i win, this is the chance for me to follow my dream for having my dream Android phone the OnePlus One! Thank you so much for your generosity guys, liked and followed all + subscribed ^^ Thank you for a chance to WIN it and follow my dream ^^ AWESOME! I’m in! Good Luck everyone!!! Thanks Max for the awesome giveaway and your kindness,i would love to have it. What is better than a free Android!? Waiting for results on 1st Oct…. i am eagerly waiting for this.. I want to get “HIGH ON ANDROID”!!! I am loving this phones since I saw its specs so plzz I am waiting to be announced. I will surely win……believe me i am an asian! Just entered! I hope I win since my Note 2 is starting to crap out on me. throwing my hat into the ring !! I have one already would like to get one for my brother. Would love a one plus, but hope it doesnt explode on me! Max, Dude! Sooooooo High (on Android). What are the odds? They just decreased by 1 because of me. Did all. I’m feeling lucky. this one is in the bag, might as well just pack it up and send it my way. Awesome, keep up the good work Max, i’m a fan. You are the Man Max!!! hope i could win good luck peoples. Ihave been subscribing u for 2 yrs! hope i could win. Really hoping to win this – Send it down under to me in New Zealand so that I can get HighonAndriod!!! I could really use that. Hi zedomax im a huge fan of android and especially cyanogenmod and when i heard that cyanogen released a phone i was so exited but the problem is i dont have the invitation and even if i did i dont have the money to buy the phone so it would really mean allot to me to win this but good luck to everyone and cya ! Whats’up Zedomaxx! I’m from Malaysia , Nice to see this event, Wish all the best to you and cya! i’ll hope i win this one+1 phone ! Whether i win or not, just want to say that you guys are doing an awesome job. hoping to be a winner. Whoop whoop. Good luck everyone! Would love to get my hands on this. Downgraded back to apple ever since my S4 went kaput. Toi, toi all! Ah damn! What would i want to win this phone :O. I’m currently having the HTC One X+ for almost 2years, such upgrade would be so awesome! I was already subscribed to you, for a few years now. (Since your first video of the HTC EVO 3D series ^^, which was freaking awesome and helped me a lot with rooting and installing.) Anyway, keep up the good work Max! Your doing a great job. ! !Stay High on Android!! Hey nice giveaway Max.. Good work..
Best of luck to everyone.. Hope to win! Best of luck to all.. Thank you Max. wish i’d win… Never have won a giveaway/contest.. I was told by my friend about this.. Best of luck to him n others.. This would be great. If I could ever win anything, please let it be this. Never won a dime. Trying over and over has been a part of my life. So, get busy living or get busy dying. One Plus One is the one phone that I can’t buy because I’m from a country where people at One Plus doesn’t ship to. So, I would be the happiest and luckiest guy to have it as a gift. Thank you you people on YouTube for regularly posting Giveaway Videos. I hoppe ill win, thanks for this chance!! Hope whoever wins has fun with that beast of a phone. i am happy to pay the duty….. i wish i was picked.This my chance to get without an invitation and before the release in my country. Subbed to everything, hope to win! Yup, would love the One Plus One. Thanks for the opportunity. I want to say goodluck to everyone :D! I am definitely High on Android….! I couldn’t see myself ever owning an iphone, the only thing smart about the phone, was Steve Jobs bringing the idea to the table…other than that it will dull your mind! Had to throw that out there. I’d love to win one in New Zealand! done all three steps 🙂 though I was already subscribed to some 😉 guess I need to comment to enter though, or what is the final step? pretty sure you’re not going to pull up subscription lists of all three and compare to see if they overlap and pick from those? Have followed you for long time now. Soon Finally Every Hope will be Crushed! Just an hour and seven minutes before the announcement…. Good luck guys and gals. Thanks Max and team for the giveaway. Got all 3 subscriptions! Come on oneplus!!!! I been wanting one+one for a min! Specs are really good. Im all subscribed in there like swimwear! Thanks guys. Cool!! this should be interesting! Next story Galaxy S5 vs. OnePlus One vs. LG G3 Low-Light Camera Test! Previous story Bolse Bluetooth Speaker Unboxing!